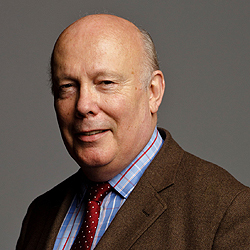 Julian Fellowes, actor, writer, director, producer, was educated at Ampleforth, Magdalene College, Cambridge and The Webber Douglas Academy of Dramatic Art. He worked in repertory at Northampton and Harrogate before appearing in the West End productions of A Touch of Spring, at the Comedy Theatre, Six of One at the Criterion, Joking Apart at the Globe, Present Laughter at the Vaudeville, and The Futurists at the Royal National Theatre. As an actor, he is probably best known for the BBC series, Aristocrats, and for his portrayal of the incorrigible Lord Kilwillie in the BBC’s popular Sunday night series, Monarch of the Glen. On the big screen, he has been seen in many films, including Shadowlands, Damage, Place Vendôme, Fellow Traveller, and Tomorrow Never Dies. As a writer for television, he produced the scripts of Little Lord Fauntleroy (winner of an International EMMY, 1995) and The Prince and the Pauper (nominated for a BAFTA, 1997) which he also produced. His first script for the cinema was Gosford Park, directed by Robert Altman, which won him several prizes, including the award from the Writers’ Guild of America, the New York Film Critics’ Circle Award, the ShoWest Award from the US distributors and the Oscar for Best Original Screenplay. He worked on Mira Nair’s Vanity Fair, and, since then, he has written the “book” of the stage musical of Mary Poppins for Cameron Mackintosh and Disney, the recipient of various prizes and nominations, including the Variety Club Award for Best Musical, which ran for six years on Broadway. He wrote the book for School of Rock for Andrew Lloyd Webber and it is currently running at The Winter Garden on Broadway and at the New London Theatre. He also wrote a new book for the revival of Half a Sixpence, which played at the Noel Coward Theatre, and his adaptation of The Wind in the Willows ran at the Palladium until September 2017. His debut as a film director, Separate Lies, which he adapted from Nigel Balchin’s novel, received critical acclaim in both America and the UK, winning nominations from the London Critics’ Circle as well as the award for the Best Directorial Debut of 2005 from the National Board of Review in New York. His second feature, From Time to Time, adapted by him from the novel by L. M. Boston, had its première at the London Film Festival 2009. It won Best Picture at the Chicago Children’s Film Festival, the Youth Jury Award at the Seattle International Film Festival, Best Picture at the Fiuggi Family Festival in Rome, and the Young Jury Award at Cinemagic in Belfast. Julian wrote the screenplay of The Young Victoria, released in 2009 and was a writer on The Tourist, starring Johnny Depp and Angelina Jolie. His television series, Downton Abbey, with Maggie Smith, Elizabeth McGovern and Hugh Bonneville, had a tremendously successful launch in the autumn of 2010, in the end running to six series, winning many awards along the way, including six Emmys in Los Angeles in 2011, including Best Writer and Best Mini Series, as well as a Golden Globe, the Producer’s Guild Award and the prize for Best Drama at the National Television Awards five times. Among the wins was the SAG Award for Ensemble, which the company won three times, a timely recognition of the wonderful cast. He is about to embark on The Gilded Age for NBC Universal, a series about New York in the 1880s, which will be filmed in 2019. He wrote a three part mini-series of Anthony Trollope’s Doctor Thorne, starring Tom Hollander and Ian McShane which was seen in both Britain and the US, receiving critical acclaim. His latest film is The Chaperone, starring Elizabeth McGovern, which is due for release in spring 2018. His novel, Snobs, 2004, has been an international best seller. His second novel, Past Imperfect, also a Sunday Times bestseller and a Richard and Judy Summer Read, was published in 2008. His novel, Belgravia, was released by Orion, in separate episodes and then as a book, in April 2016. It has been a best seller both here and in America. Julian presented the BBC drama-documentary series, Most Mysterious Murders, hosted a game show about language, also for the BBC, Never Mind the Full Stops, and appeared in Great Houses with Julian Fellowes in 2013, with another episode in the series, Blenheim at War, shown in November 2014. In February 2018, NBC Universal commissioned a new series, The Gilded Age, which will film in 2019. In 2008, he was appointed a Deputy Lieutenant of Dorset. In January 2011, he was awarded a peerage and became Lord Fellowes of West Stafford. He is married to Emma, née Kitchener, and they have one son, Peregrine, a border collie called Meg and Stafford, the tortoise. They divide their time between London and Dorset.